His weakness is that even as a cat, he has to wear glasses. 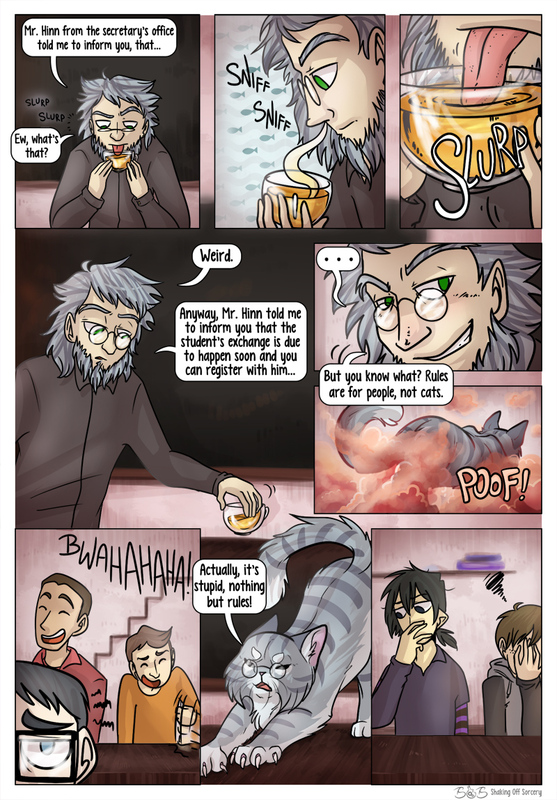 I am surprised only half the class is laughing, forget the cat-man teacher, the students are the wierd ones! So what species is this professor, anyway? He's a shape-shifter :) you can check everyone in "cast" section. *Guest: Yes, I read it, but what exactly are shapeshifters? Do they have true shape? Are they actually people born with a special talent or adifferent type of creatures? Are they elfs (not elves)? I bet they are elfs! Currently in class there's 8 students, the rest is absent. There were originally 30 or such students, but you know...... vampire.